A man who is expecting multiple blessings this year – has got himself trending online for obvious reason. 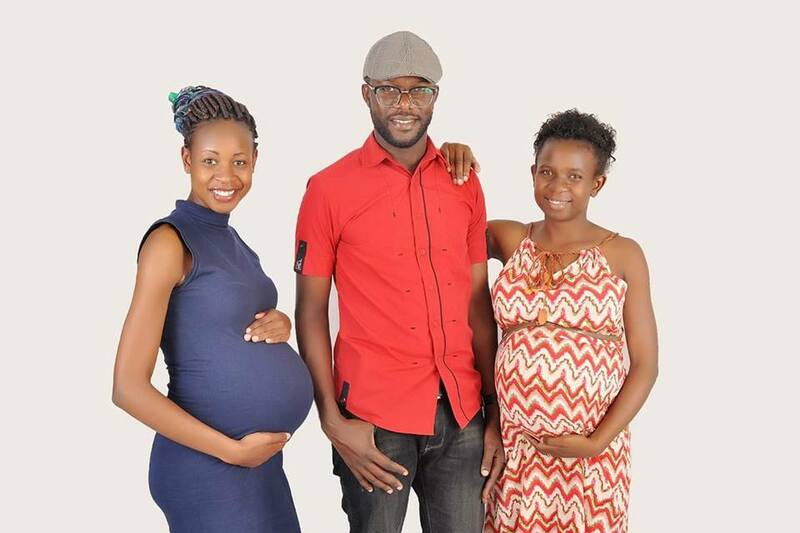 The Kenyan man identified as Collince Ojika, took to social media to share a family photo with his heavily pregnant wives. He captioned the picture; ‘’When God gives, you take with open hands. Blessings loading 2019’’. The viral pictures have sparked reactions from internet users – with many calling him a legend. Facebook user Mwango Michael wrote; Those are men whose magazines are fully loaded. We are just seeing smiling women, who knows are they cope in real life? He impregnated two foolish women suppose not to be mentioned, without knowing his plans for the unborn children.